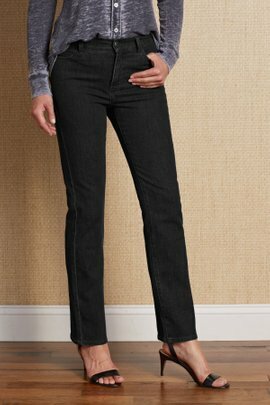 Every woman’s closet includes at least some denim, which is why we pay so much attention to our women’s jeans here at Soft Surroundings. From jean leggings to flares to crops, we have a wide range of colors, styles, and sizes to suit every taste and body type. 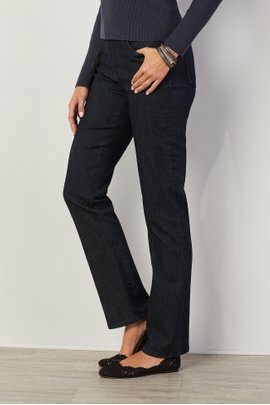 You’ll also find that our women’s jeans come in a variety of colors so that you can pair your jeans with one of our tunics, jackets, tees, or blouses. 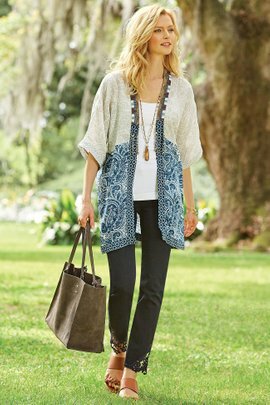 Many styles are easily dressed up or down, so you can wear them while running errands, relaxing at home, or enjoying a night on the town. Soft Surroundings clothing is known for incorporating distinctive details and embellishments, and our jeans are no different. Lace trim, ornamental buttons, and rich dyes make our collection unique. You’ll also find our Softness Rating on each pair of jeans, so you know what to expect from your denim, even when ordering online.